advanced stage. Most skin cancers can be successfully treated if detected early. 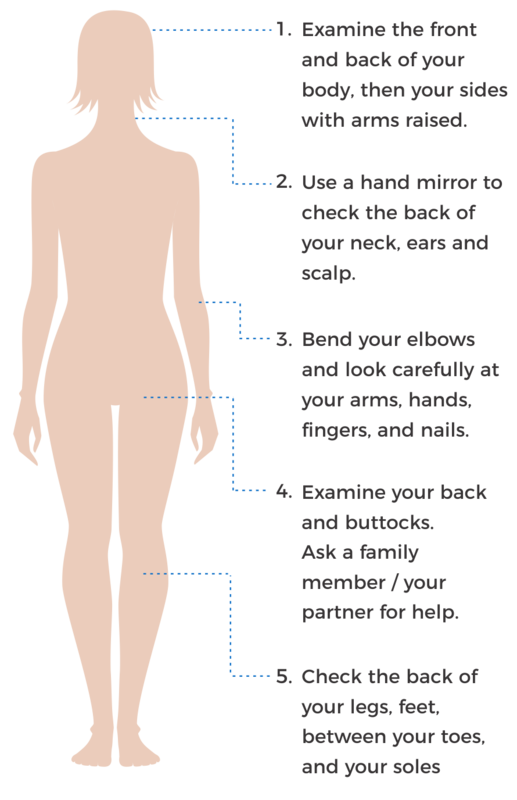 Self-exams and skin checks with your doctor will ensure timely diagnosis and treatment. Source: Ultabeauty. (2015, June 1.) 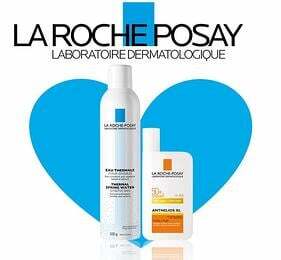 La Roche Posay Suncare - Check Your Beauty Spots! | Ulta Beauty. The first symptom of a melanoma is usually the appearance of a new spot or a change in an existing freckle or mole, which evolves in size, shape or colour over several weeks or months. The guidelines below are a useful tool for monitoring your own skin to detect the early signs of skin cancer. However, the best way to identify a melanoma is to get a skin check from a professional. Early detection increases your chances of survival to 98 percent. Do the two halves of the lesion match if you draw a line through the middle? Does the lesion have one colour or a variety of colours? trait or symptom such as bleeding, itching or crusting?